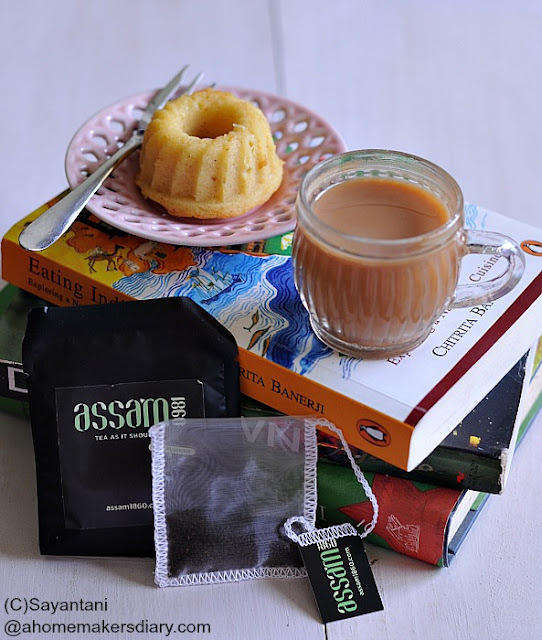 Assam 1860, probably is the newest buzz word of the Tea town. 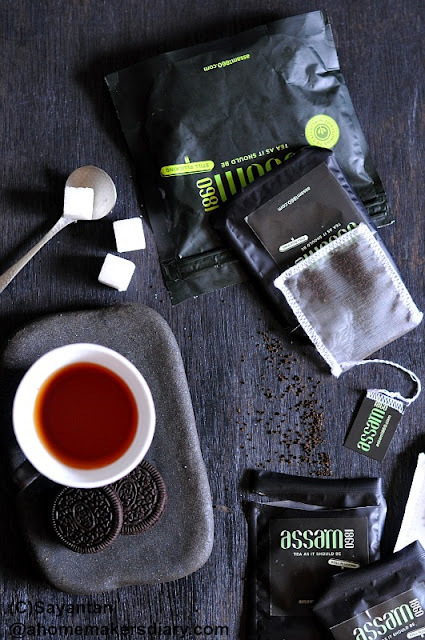 With it's robust, full bodied, strong CTC tea and beautiful packaging it definitely is here to stay. I was sent a few packets of this CTC blend quite sometime back but with all the travelling and settling down to a new life on my own I totally forgot about it. Finally couls manage to open the packet and make it a couple of days back and honestly I haven't stopped sipping it since then. I am not a tea connoisseur but definitely enjoy my tea. Following our long colonial heritage, just cant start my day or go about it without a few cups of good brew. 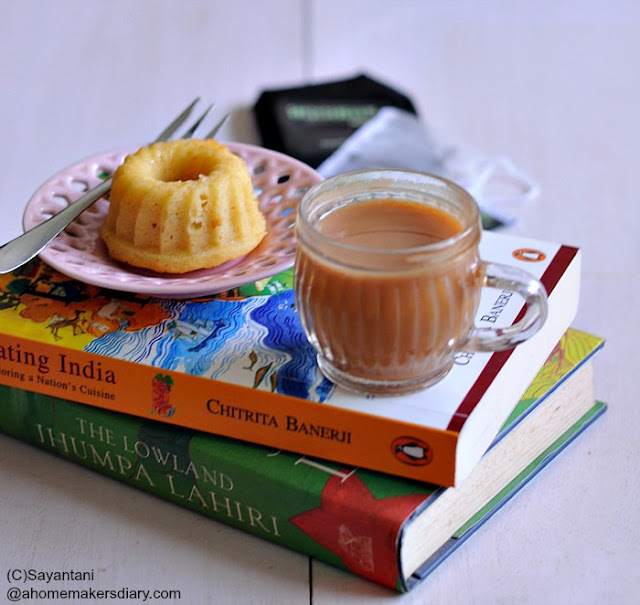 While the morning and evenings are reserved for a strong flavourful milk tea (no sugar), the mid morning cuppa generally is an aromatic affair with light black tea. Not to mention a couple of cups of green teas in between. Though I have grown up drinking tea since I was 16 yet taking it seriously came at quite a later stage. At my parents, Tea is made by gallons for all the embroiders, tailors and suppliers who work for my mother. They prefer it strong, milky and sweet. There is nothing fancy about it. and probably that's the reason I never came to appreciate the CTC teas and always made my own combination of CTC to long leaf aromatic tea to get the desired brew. Assam 1860 surprised me in all these categories. First time there is one CTC which is so aromatic yet strong. For the uninitiated, CTC refers to a method of crush tear curl which quickly gives a dark brew. The robust dark CTC brew takes milk very well and hence is popular Worldwide as breakfast tea. This also is the first choice for making tea bags and masala tea that India is so much in love with. No other tea than the maltier, strong, bright coloured CTC can do justice and unfurl the deep complex flavour that is a pre requisite for making good milk tea. They say Good tea needs good leaf but at Assam 1860 they believe a good tea is nothing short of Romance. "The leaves are plucked, processed and packed in the estate itself, ensuring quality and freshness that is unparalleled. So wherever you are, you might as well be drinking your cup of Assam 1860 on the verdant verandah of the Thowra Bungalow, overlooking graceful rolling greens on our lush terraces. "...Yes, it takes the effort of a century and half to make a tea so perfect that makes you fall in love with your cuppa again and again. And to top that off they have come up with beautifully packaged products. 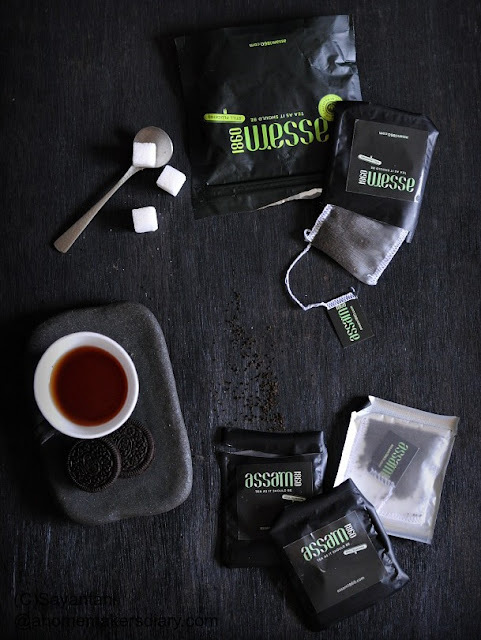 Especially the tea bags, which are made out of linen with stitched edges and neatly packed in a striking black and green pouch are ideal to gift someone who loves her tea. The Preparation of the Tea: The art of tea brewing is very personal and should be guided by your own palate. But to make a perfect cup of tea you also need good water and milk, especially in India where most areas have hard water or have too much of chlorine in it. To get the best out of any tea use filtered or bottled water. Personally I preferred using 1/3 tsp of Assam 1860 for a cup of Milk or masala tea (no sugar), Which I boiled covered for a minute on very low flame before adding warm milk. Surprisingly enough Assam 1860 tea bags are so potent that I used one tea bag to make two cups of my desired brew for black tea. To know more or to order online check their website HERE. This is not a paid review. Love post..I personally love ctc...surely try this.